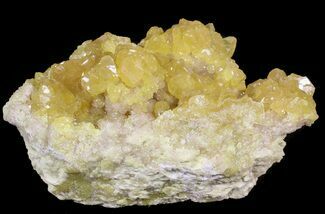 This is a cluster of lemon yellow sulfur crystals on a rock matrix, from the El Desierto Mine in Bolivia The entire specimen is 2.8" long and 2.5" wide. 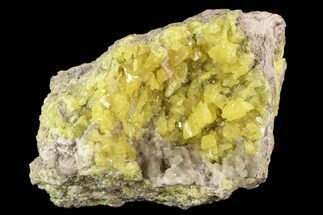 A quarter inch aggregation of sulfur crystals can be found covering the entirety of what could be considered the top of the specimen. 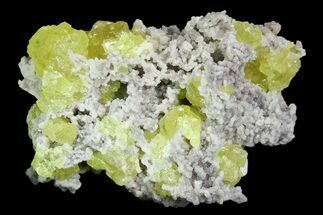 The El Desierto Sulfur Mine produces pockets of beautiful sulfur crystals like you see here. This mine is located on a volcanically active region of mountains along the Western Andes, along the border between Bolivia and Chile. 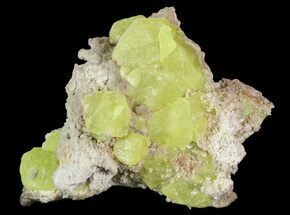 The majority of sulfur coming out of the six original mines of this area occurs more as a cementing agent in volcanic ash. 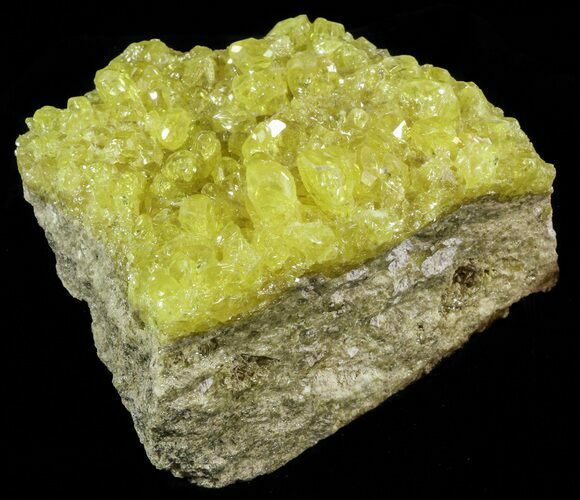 However, the El Desierto Sulfur Mine is one of which good crystals like this are found. 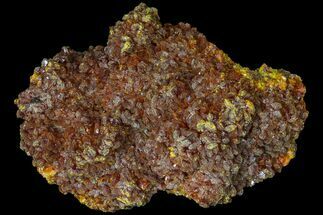 The chemical composition of this vibrant mineral is S8, meaning 8 sulfur atoms bonded together to form a sulfur molecule. 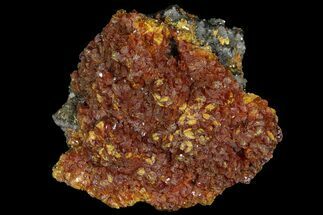 The crystal structure is typically tabular or as blocky dipyramids that form in sedimentary rock.